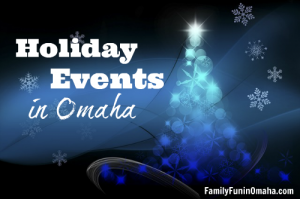 One of our favorite Holiday events is the KETV FREE Family Festival (formerly the Wells Fargo Family Festival). 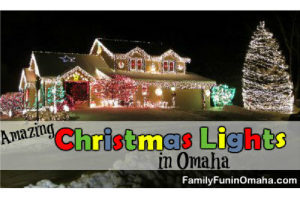 Part of the Omaha Holiday Lights Festival, this year’s FREE Family Event will be held on Sunday, December 2, 2018, from Noon – 5 p.m.
For more ideas on family fun, find 100+ Holiday Events in Omaha here and find Amazing Christmas Lights Displays here! At the KETV FREE Family Festival, visitors can experience many of Omaha’s downtown attractions for free! Each site will offer free admission and family activities, and Ollie the Trolley will provide free trolley rides between locations (due to inclement weather). Play in the museum’s permanent exhibits, visit with Santa and his elves, or take a carousel or train ride for $2 each. Tour the stables, watch horse demonstrations, enjoy hot cocoa, and more. This is one of our favorite stops of the day! 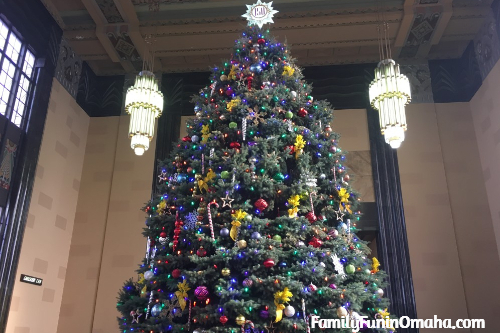 Visit Christmas at Union Station – including Omaha’s largest indoor Christmas tree (pictured above)! View many exhibits including the Ethnic Holiday Trees Display, and walk through the historical trains. Meet and get your photo taken with Elephant & Piggie and OPL’s mascot Scamper, and take home a children’s book for free (while supplies last). Create your own works of art and enjoy Joslyn’s beautiful exhibits. Interactive Activity Tour with stops for: Health/Holiday Themed Crafts, Bounce Houses, Dancing and tumbling, simple fitness training for adults and kids and hot chocolate/coffee and cookies with Santa. Don’t miss this year’s KETV FREE Family Festival, part of the annual Holiday Lights Festival in Downtown Omaha!